‘Tom Thumb’ lettuce started in the tunnel on March 24th. It’s a tender little butter lettuce that does very well here. The ‘Red Sails’ is also flourishing, and recent salads have been a real treat. 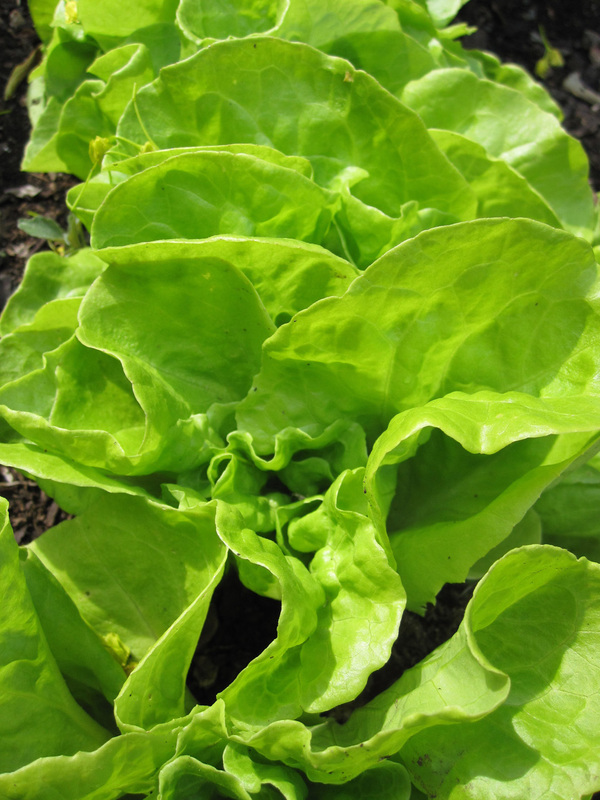 Lettuce has such a variety of subtle flavors and textures–taste buds that have been dulled all winter by store lettuce from who-knows-where wake up when the home-grown stuff is ready to be eaten. ‘Cherry Belle’ radishes are perfection right now. People can complain all they want about the wet cold spring weather, but it’s ideal for early salad crops. Sun this morning, then thundershowers. Looks like we’re in for a few unsettled days. Coming back from a trip to the compost pile just now, I stopped to gaze up at wild geese heading north. Ah. That means more wild country is opening up.